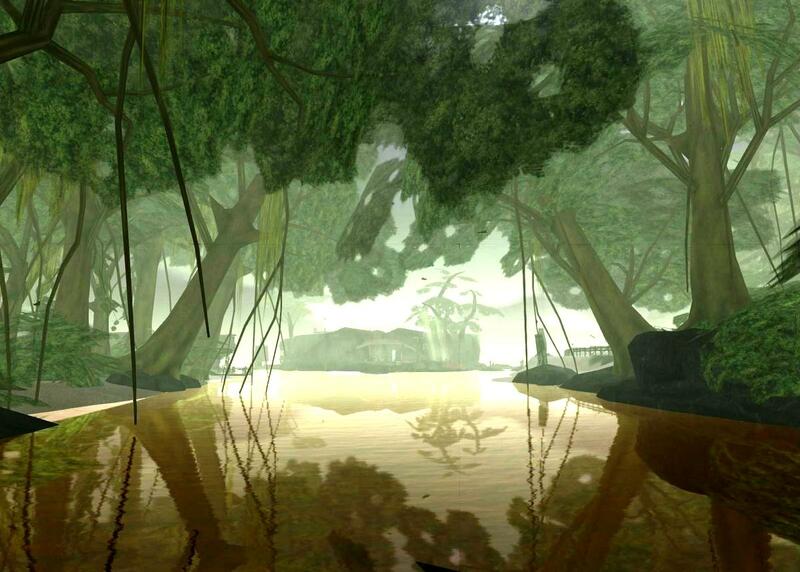 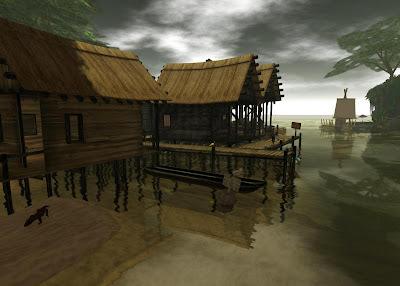 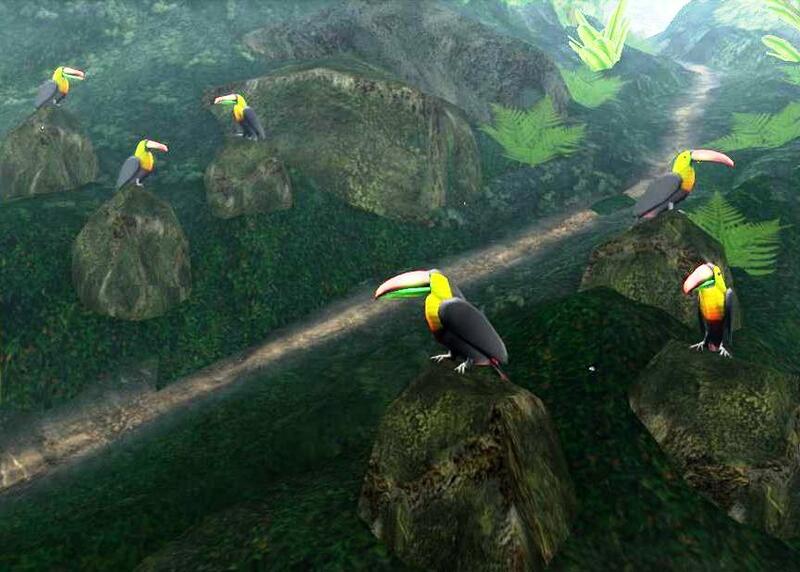 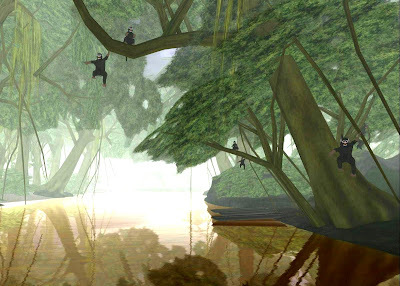 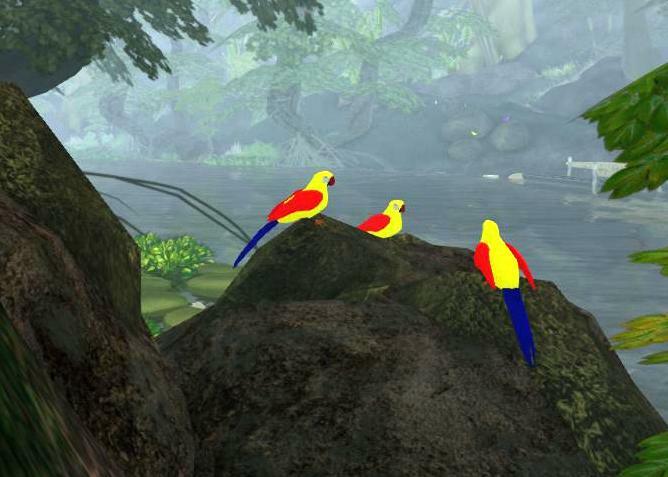 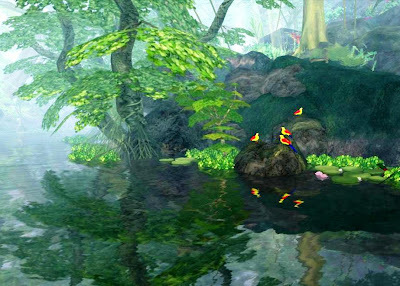 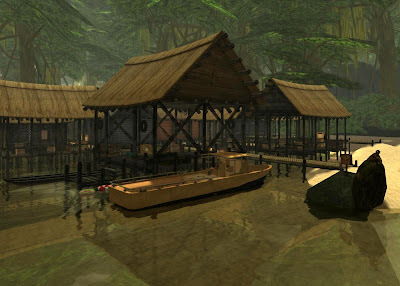 Linden Lab's Premium Amazonia is a very nice multi-sim build that is quite well done. A moving boat ride takes you through the amazon visiting one area full of noisy parrots (shown here in the lower three photosgraphs), and another full of tropical monkeys and swimming crocodiles. You must be a premium member to visit, something that pays for itself if you use the free land credits that Linden Lab gives you as part of your membership (in addition to 300 Linden a week and a sign-up bonus).